Dunkin' Donuts doesn't have a one-size-fits-all box. They get it. 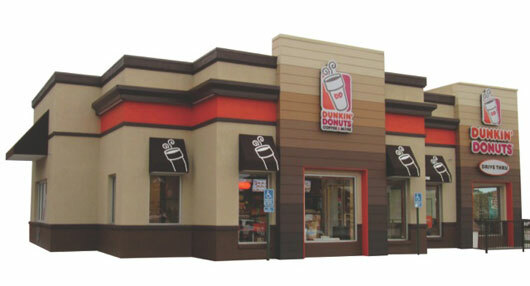 Dunkin' Donuts gives me a variety of store options that are tailored for specific retail environments. What differentiates Dunkin' Donuts is its commitment to collaborating with franchisees. Dunkin' Donuts is the number one retailer of hot and iced coffee by the cup, and the largest coffee and baked goods chain in the world. With nearly 10,500 locations in 31 countries, and plans to double the number of restaurants in the U.S. within the next 20 years, we are looking for exceptional franchise candidates to help keep America running on Dunkin' Donuts each and every day. If you share our passion, meet the qualification criteria and have the ability to deliver a high-level of customer service within your community while embodying our company values, it's time for you to join one of the world's fastest-growing QSR companies. We are looking for outstanding franchise candidates to fuel our growth in new and existing markets. In fact, as we continue with our expansion, we constantly open new territories. In order to support this growth and the consumer needs of each individual market, we're expanding with single and multi-unit development opportunities. With our experienced management team and franchisee network firmly established, we're well-positioned for the right investor looking for growth opportunities with one of the world's premier foodservice brands. Is Dunkin' Donuts The Right Franchise For You? Dunkin' Donuts is a high-volume food service operation that employs 25-30 people per restaurant. As a result, we've got the right expression for almost any venue. We're looking for candidates with prior restaurant management and/or foodservice operations experience and the ability to create and manage an organization that that effectively recruits, trains, retains and motivates a high-performing team. An understanding of the real estate development process and a drive for local store marketing is a plus. Franchise Opportunities Brewin', the Only Thing Missing is You! Visit www.dunkinfranchising.com to learn more. Looking for more information about opening a Dunkin' location in your area?